1.1 So what is a speckled texture? 1.2.1 Here are five tips to create timeless photographs. 1.2.1.1 What’s in your frame? 1.2.1.6 So, are your creative juices flowing alright? What use would you have speckle texture image today? For your graphic design needs and questions, please don’t hesitate to get in touch with us. Looking to create a timeless look in your designs? Then you’ll love speckle texture. This design element will create a retro, nostalgic feel. If you’re creating illustrations for a client who prefers the vintage look, the speckled texture will take your art to the next level. Are you pressed for time with your current design project? Does your client require a retro finish in your design? If you’re short on time and need to apply an authentic vintage feel in your art, you’ll love the speckle texture. There’s a certain appeal to adding a touch of vintage to your photographs and designs. Perhaps its the timelessness and the nostalgia of being “in” the past. There are several ways to make a design look vintage. You can use fuzzy vignetting, faded coloring, tack-sharp focus, and a speckle texture. With technology and your creativity, you don’t have to wait years to age photos! In this article, we curated some of the best speckled texture elements to create high-quality, genuine-looking aged appearance in your designs. So what is a speckled texture? We understand there are newbies reading this article; budding talents who are looking to start on graphic design. So for the benefits of the rookies, let’s expound on speckle texture as a design element. A speckle texture is a design characterized by speckles or little black spots. You can add a speckled texture to your design through hard work or, you can use ready artwork. If you’re going to use sheer hard work and talent, you need to use a free texture or brush on any illustration editor. Depending on the brush, you may be able to achieve your desired result in just one swoop. For certain surfaces, you might have to make adjustments to your illustration or design. You may need to change it from colored to black and white, and even adjust the color levels. You may also need to stack textures to create bigger or smaller speckles. A more natural alternative would be to take advantage of the speckle texture vectors artists provide. 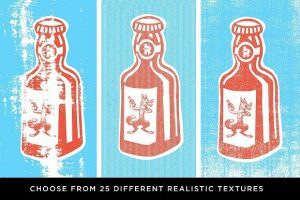 Quality retro and vintage textures can be applied quickly to create an authentic-looking aged design. But finding the right speckled texture can be time-consuming that’s why we compiled a list of some of the best free textures you can use. 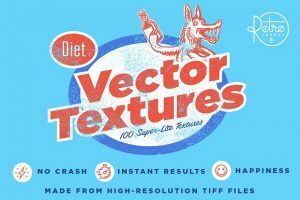 Diet texture vectors are composed of high-resolution bitmap TIFFs that are easy to use. You need to drop a vector into your work for instant effect. For a more intense aesthetic appeal, you can layer up your diet texture vectors, resize them or change their color. How? Just click a button. 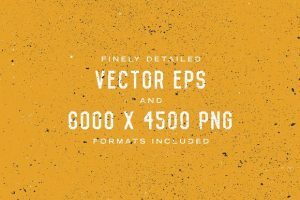 Use essential subtle vectors to roughen your illustrations. These vectors will not only add instant age to your design, but it will also add tactility to it. This pack contains heavy grunge speckle textures that distress and roughen up your design. Truly gives it an authentic grunge look and feel. 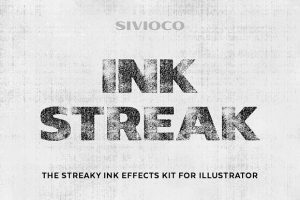 In this set, there are 16 vectors with easy-to-use ink bleed graphic styles and 5 paper textures (in .jpeg format). This pack also includes a step by step guide to using it. Also contains the Vectorizer Illustrator Action and the Vectorizer Tracing Preset. Remember those good old days when films were in VHS format? Films had a distinct texture then. This template pack replicates that distinct look and feel. 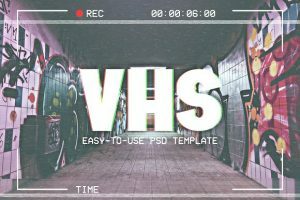 This VHS texture collection consists of ten designs that add a retro and crackling effect to your illustration. 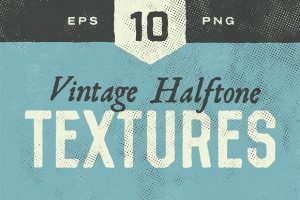 Add an authentic retro print to your illustrations by using adding layers of Halftone textures. 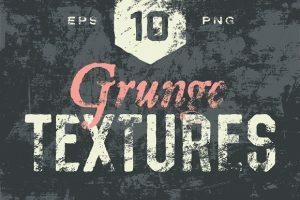 If you need to apply subtle grunge effects, try the hi-res light grunge textures. 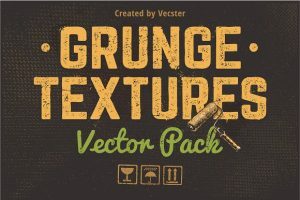 This pack contains vectors that allows you to easily resize, split, recolor, or edit to achieve the best grungy look. 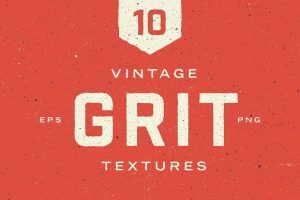 Why waste time and effort on creating vintage grit textures when you have use this pack? Save yourself from the hassle with these vectors. 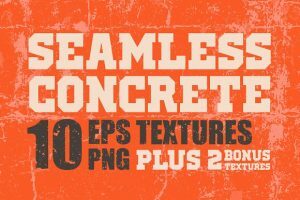 If you’re looking to get gritty, sidewalk feel in your designs, you’ll love this texture pack. 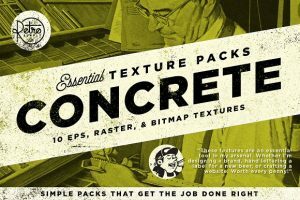 This collection includes 12 seamless textures that features an authentic gritty concrete look. But you know, you need to have a good image as a foundation of your vintage illustration. This is where your good eye will come into play. You need to cover all the bases that make your pictures look timeless even before adding textures. Here are five tips to create timeless photographs. You need to be conscious of your subject. You need to make it look like the photo was taken eras ago. Think about indicators that point to a particular time, such as brands, fashion, and technology. Nothing beats a vintage-looking photograph than an old camera. An old camera has grains that are absent in digital ones. In the absence of an old camera, you can supplement with a lens that you will use with your smartphone or digital camera. Experiment with them. You will find that analog cameras and lenses have their unique character that’s hard to miss. Tilt-shift is an effect wherein the focus of the photo is skewed thereby creating an almost dreamy vignette. A tilt-shift is a reminder of photography’s early days, wherein large and medium format cameras used lenses on bellows, ergo the tilt. You can replicate a tilt-shift effect by using lenses for both smartphones and digital cameras. IRL filters are quick but dirty ways of giving photographs a vintage look. How? Merely hold objects in front of our lens to make a physical filter. You can use tinted sunglasses, vaseline, old glass, and even nylon. You can also experiment using the sun. Your imagination is your limit! So, are your creative juices flowing alright? What use would you have speckle texture image today? For your graphic design needs and questions, please don’t hesitate to get in touch with us.